Almost 50 law enforcement agencies across the state are adding patrols for the “Click It, Don’t Risk It” high-intensity traffic enforcement period May 19 through June 1. Motorists throughout Montana should be aware of heightened enforcement. The national seat belt campaign is timed to reach motorists as the summer travel season begins around Memorial Day. 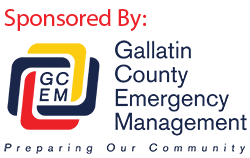 Bozeman police officers and Gallatin County sheriff’s deputies will add overtime shifts for the increased enforcement. The law enforcement agencies will combine efforts to cover back roads and rural areas as well as city streets. Increased seat belt use is key to preventing crash deaths and injuries—especially among teens and young adults. People age 15 to 29 accounted for 40 percent of the severe injuries and 26 percent of the fatalities resulting from motor vehicle crashes in Montana in 2012. Those age 18 to 25 are the group with the highest fatality crash rate in Montana over the last ten years—a rate fueled by the fact that 85 percent of the fatalities in this age group were not wearing a seat belt, or not wearing it properly, at the time of their crash. Overtime patrols for traffic safety enforcement are funded by the Montana Department of Transportation. High-visibility enforcement is one of the overall strategies employed in Montana’s Vision Zero—working together to eliminate deaths and injuries on Montana roadways. In addition to enforcement, Vision Zero also emphasizes education, engineering of safer roads, and support for emergency medical response.